Myopathy refers to a group of muscle diseases that are caused by muscular dysfunction that results in muscle weakness and waste. It is important to recognize that while some myopathic conditions can be caused by reduced nerve supply or excess nerve supply, the disorders do not stem from a neurological problem. Rather, the issue lies solely within the muscles. This does not mean that areas like the spine will not be affected. 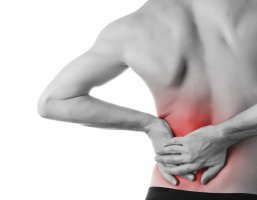 The muscles surrounding the spine can become weak, tight or atrophied and go into spasm. This can cause scar tissue and a modification in muscle tone, making myopathy one of five major interrelated components associated with what's called vertebral subluxation complex, a set of signs and symptoms that describe what occurs when the spinal bones lose their normal motion and position. Myopathies vary by types, and some may be present from birth (congenital) while others present later on in life (acquired). Those that are congenital may be the result of a genetic defect, an inflammatory disorder, endocrine problems or a chronic immune deficiency. Acquired types, in contrast, may be due to drug side effects or chemical poisoning. The symptoms of myopathy can be painful and incapacitating, but they can be alleviated by undergoing chiropractic treatments. In addition, combining chiropractic treatments with acupuncture and physical therapy may provide further relief. Taking a multidimensional approach can mean the irritating symptoms triggered by this muscular disease can be mitigated, because the muscles in the body are being addressed through a group of efforts, each of which are designed to stimulate the muscles in different ways. For instance, massage — a type of manual therapy often used in chiropractic treatment — uses a hands-on technique to knead, strip or rub the soft tissues. Pressure may be soft or it may be deep, but its purpose is to increase circulation and blood flow, ease muscle tension, reduce pain, relax muscles, break up scar tissue and redistribute fluid. Or, if the muscles surrounding the spine become weak, tight or atrophied and go into spasm, the resulting scar tissue can change muscle tone. This will require multiple spinal adjustments. If you have a myopathic disorder, contact your chiropractor to better understand how they can help. "When I first came to see Dr. Nathan Stinemetz, I had excruciating pain in my shoulder and lower back. Now, I feel like an energetic person again. Dr. Stinemetz, explained his procedure and what to expect after each treatment. With his gentle technique and simple instructions to follow between treatments, I've had excellent results and have my life back. He always made me feel comfortable and spoke to me as a concerned friend. Thank you Dr. Nathan!" "When I first visited Dr. Nathan Stinemetz, I did not inted to leave my previous chiropractor, but after that first visit, I knew Dr. Stinemetz possessed a unique ability to diagnose and treat my condition. He has the touch and utilizes a variety of techniques to tailor the adjustment to my current situation. His adjustment lasts three times longer than those of any other chiropractor I've visited, and I have never felt healthier." "After my stroke 8 years ago, I endured pain because the doctors discouraged seeing a chiropractor. Recently, my neck and back were really painfull and nothing helped, then I decided to see Dr. Nathan Stinemetz to try to get some relief. From my first appointment, I enjoyed relief. I'm continuing to get relief and I am able to enjoy life more day by day. Dr. Stinemetz treats me as a person, not a number with a time limit. Thanks Dr. Stinemetz!"